So, you splurged on a new Amazon Fire HD 7 (4th generation) tablet, but you can’t forget about a case. Cases not only protect your investment, but they also offer a new look and a built-in stand for hands-free viewing at home or on the go. 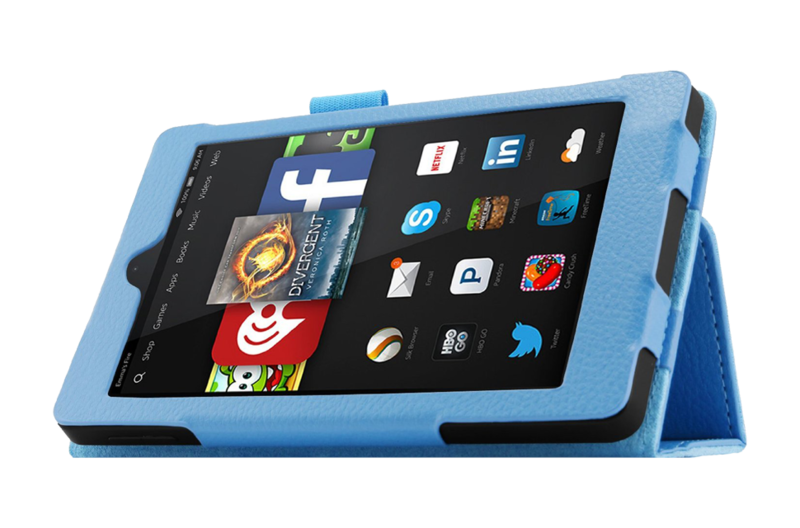 The best part is they don’t have to be expensive, so let’s take a look at the best Fire HD 7 cases available right now. 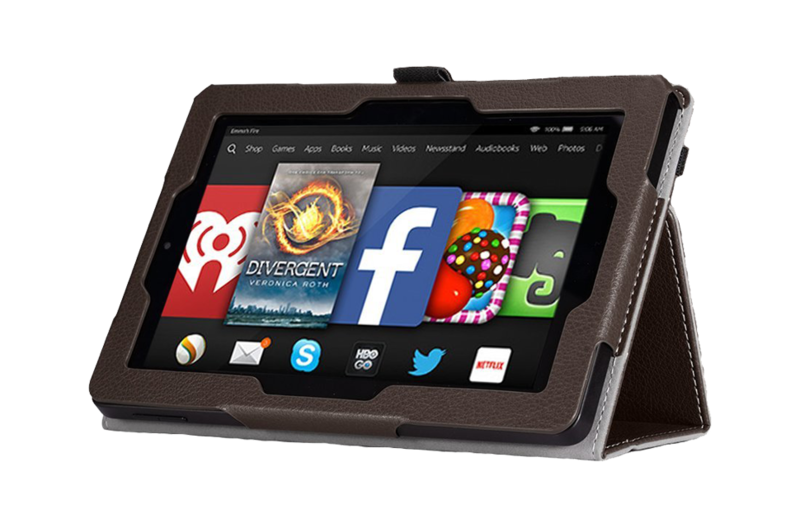 This is one is made by Amazon, so you already know that it will fit your Fire HD 7 perfectly. It sports a premium, natural leather exterior along with a microfiber interior that will not only protect your screen, but will keep it clean, too. Opening the cover will automatically wake the tablet, and closing it will put it to sleep. The built-in magnet will ensure the cover doesn’t open when you’re on the go. Finally, the built-in stand offers hands-free viewing in either landscape or portrait mode. This one features synthetic leather, but it feels close to the real thing. The microfiber interior will protect and keep your screen clean at all times. 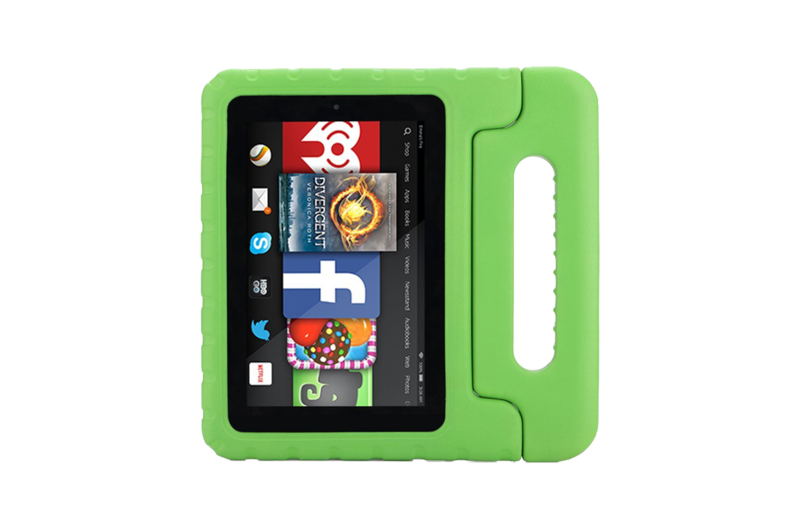 The tablet slides into the interior pocket and is held by a Velcro flap for extra security. It includes a magnetic closure, ensuring the case won’t open during travel, and it will auto wake or sleep the device. 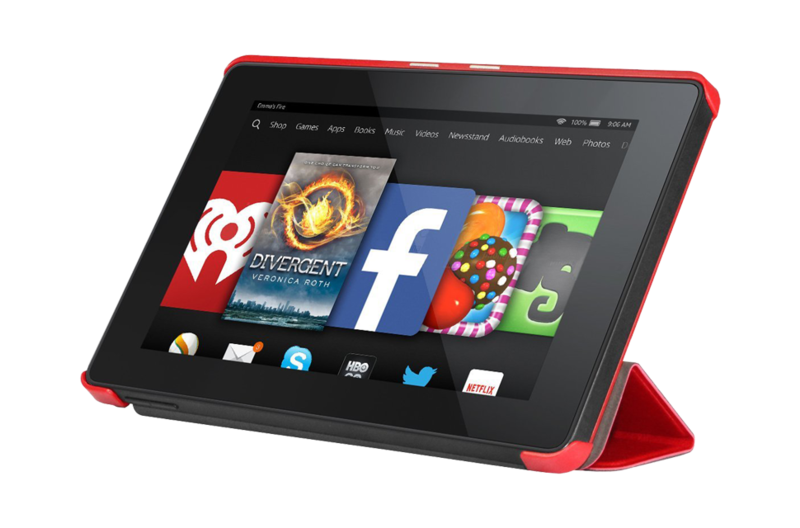 It includes a build-in stand, which allows for hands-free viewing in landscape mode. If you happen to have a stylus, you can store it in the convenient holder. The case is also available in 33 different colors and patterns, so there is sure to be something that strikes your fancy. 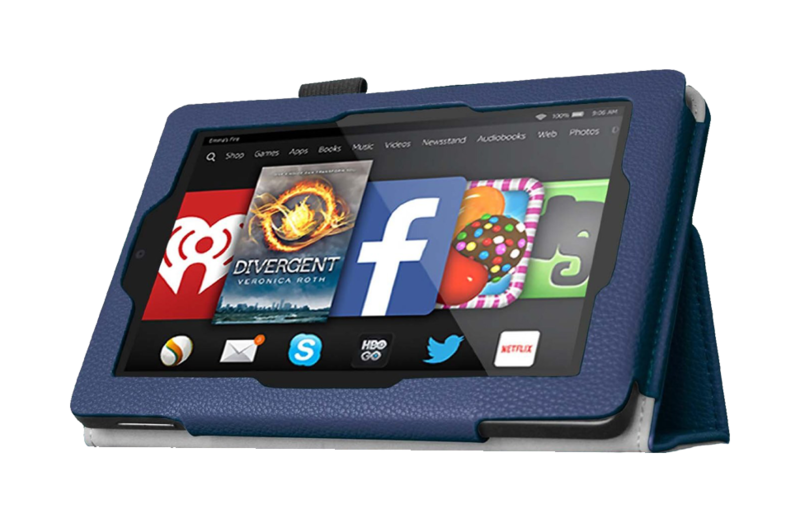 This one is perfect if you plan on letting your kids use your Fire HD 7 a lot. It’s constructed from impact-resistant polycarbonate and is double-enforced with a shock absorbing inner sleeve. The corners are always a concern for drops, so that’s why all four sport double-thick silicone. If that’s not enough, it also has raised screen bezels for extra protection. The case features a handle, making it easy to carry for the little ones. Plus, the handle converts to a stand for hands-free viewing. No matter what your child does, this MoKo cover will remain durable, and even if you’re the slightest bit worried, it comes with a lifetime warranty. This MoKo case is made of synthetic leather along with a microfiber interior to protect the display and keep it clean. The magnetic closure ensures the cover will remain closed during travel, and it will also auto wake and sleep the device. The built-in flip stand provides hands-free viewing in portrait mode, and the hand strap offers one-handed use in comfort. It even offers a stylus loop (stylus not included). A lifetime warranty means that you will never have to worry about its durability. 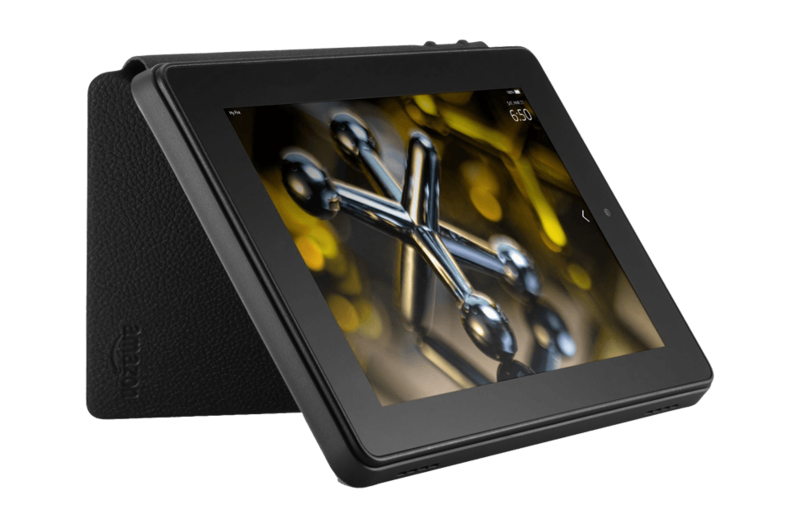 This one is crafted from polyurethane (fake leather) and has a color-matched microfiber interior to protect the screen and keep it clean. Just fold back the front lid to provide hands-free viewing in landscape mode. You can even adjust the case to provide a more comfortable typing position. Like most tablet covers, it sports a magnetic strip to secure the cover during travel, and it will auto wake and sleep the device. The Infiland Folio Case offers synthetic leather along with a soft interior to prevent scratches. The built-in stand allows multiple configurations, whether it be for hands-free viewing, video chatting, or typing. The included magnetic strip offers auto wake and sleep, plus it secures the cover on-the-go. This case also offers a stylus/pen holder (stylus not included).